I have to admit that I really like Kara no Kyoukai (空の境界). 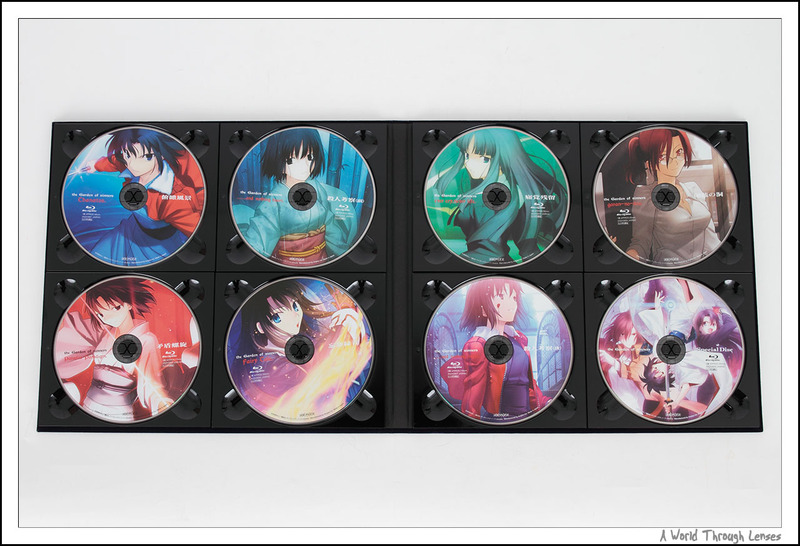 I’ve spent $565 USD to purchase all volumes of the Kara no Kyoukai Limited Edition DVD just about a year ago. Yet on hearing the news that on February 2, 2011, a complete Blu-ray box was released in Japan containing all 7 films and a new bonus chapter, I eagerly place my order on Amazon.co.jp. At the time Amazon.co.jp was listing it at 36,664 JPY + 2,000 JPY shipping making it a total of about $470 USD. Expensive, certainly. But it is definitely cheaper than the $565 USD I spent to get the complete set of limited edition DVDs. And since I should get better picture quality from the Blu-ray discs plus a nice Visual Chronical Book. I though it was a pretty good deal. Luckily it only gets better. 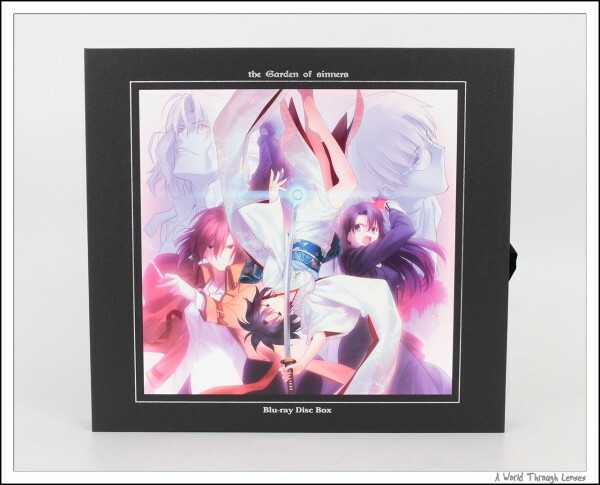 Soon after, Aniplex of America announced that they are going to do a North America release of it. Right Stuf listed the item at $398.98 USD with free shipping. After looking at all the release information and compared pictures, I believed that the North America version will be identical to that of the Japanese release. So being adventurous here, I cancelled my Amazon.co.jp order and placed the order with Right Stuf for a $80 USD saving. Right Stuf shipped the item on February 8th, the North America release date. Unfortunately being out side of USA, I only got the item at the beginning of March. And now finally I’ve found some time to take some pictures of it. 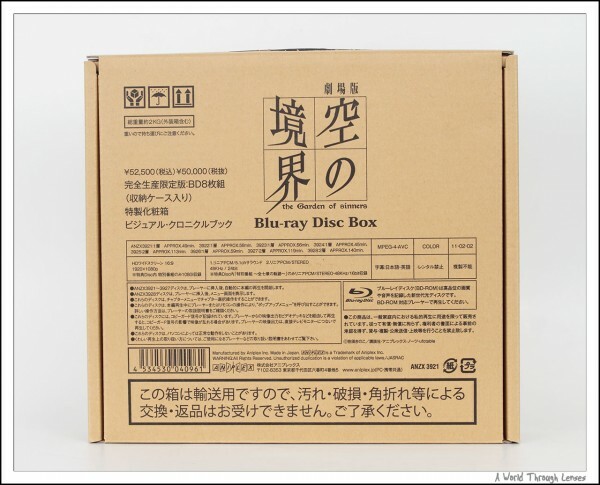 Here’s the shipping box of the Kara no Kyoukai Blu-ray box. The box is identical to that of the Japanese version. The text and all that on the box are all Japanese. Seeing that, I finally can relax. I saved $80 USD and I got the same thing as the Japanese release. Great! Inside the shipping box padded by bubble wraps and foam sleeves is this beautiful art box. It has an illustration on the front and has ribbons for closure. The inside of the the art box. The box contains two velvet covered book. The black coloured book contains all 8 Blu-ray discs. 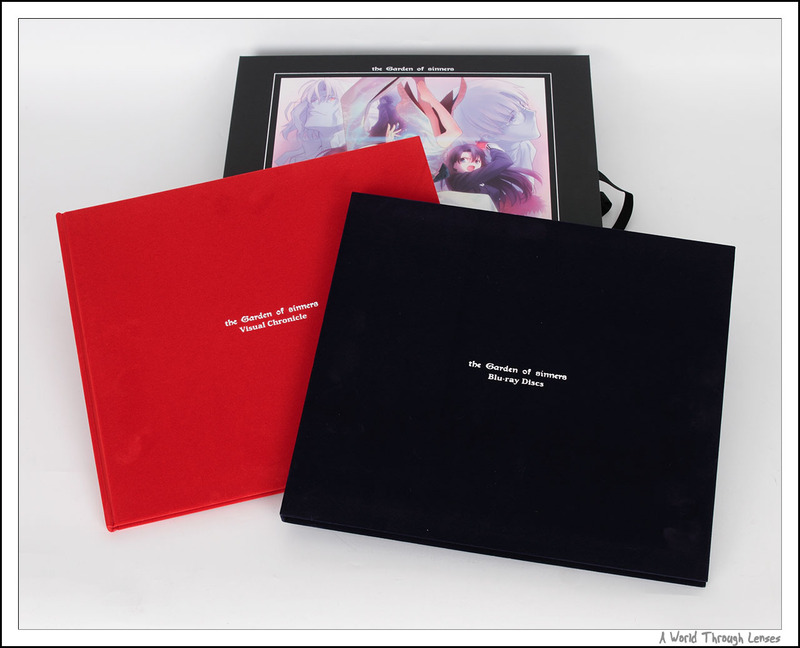 The red coloured book is the Visual Chronicle Book which contains staff interviews, all key visuals, illustrations from each movie, and artwork from the DVD packages. 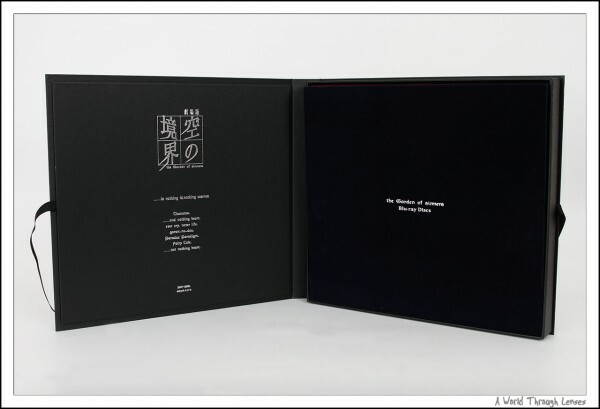 The inside of the black colored Blu-ray discs book. Inside of the red coloured Visual Chronical Book. So far the content is exactly identical to the Japanese release. The only difference to the North America release is here. 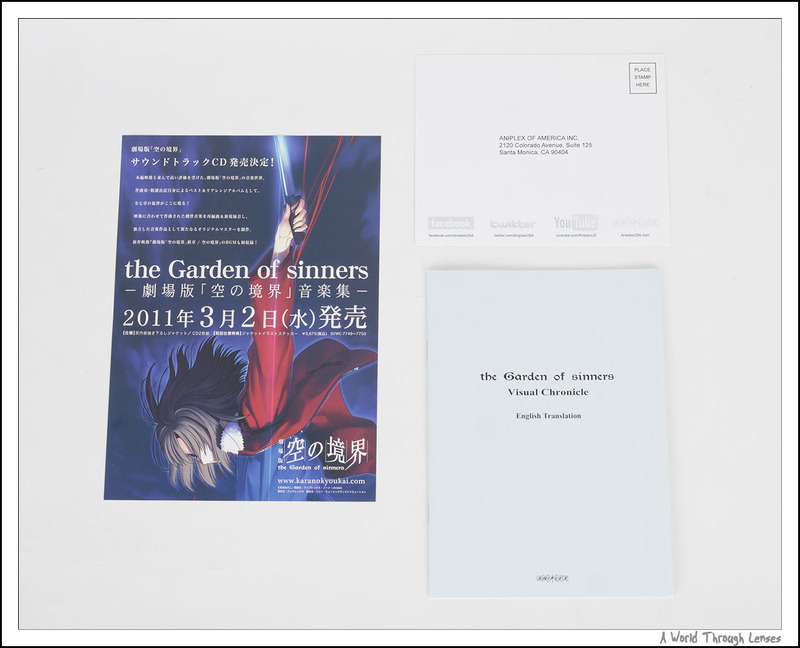 A registration post card for Aniplex of America. And a booklet which contains all the English translations of the Japanese text in the Visual Chronical Book. Yes you read that right, for once, the North America version actually is cheaper yet has MORE content than the Japanese release. Okay not much of a content just a book containing a pile of English text, but that’s just the way I like it. 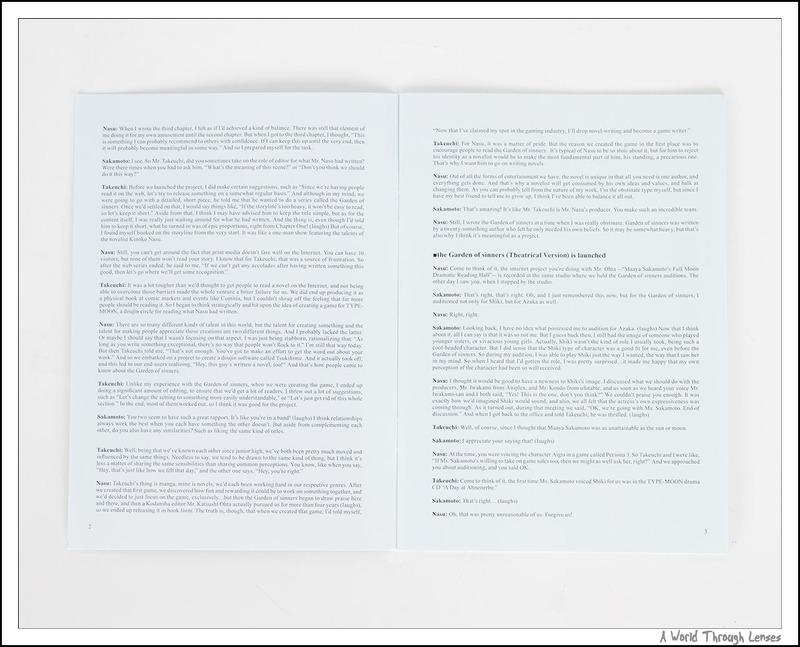 In case someone wonder what the inside of that English translation booklet looks like, here’s a page from the booklet. If you view the large version, you can probably read it. 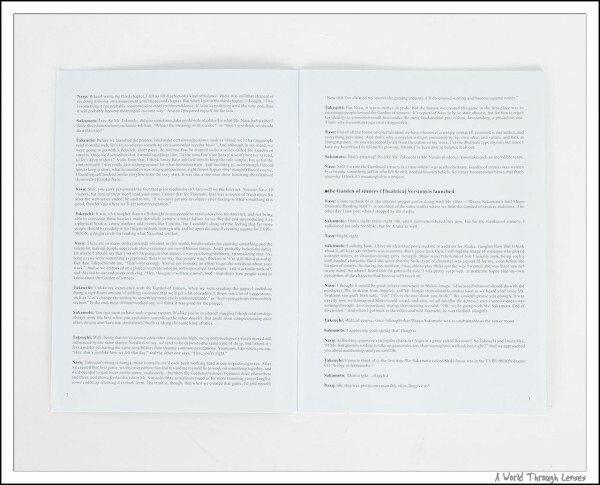 Yes, it simply has page and pages of translated text. 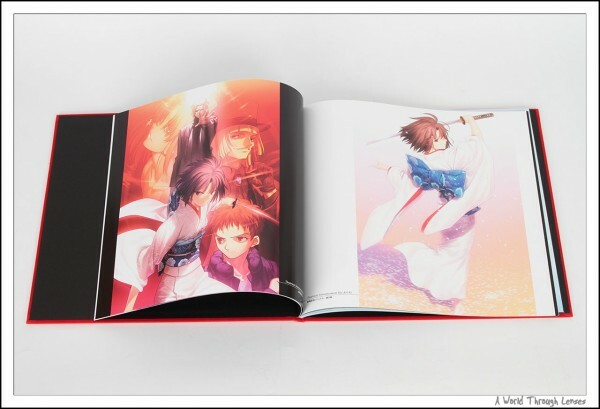 It doesn’t have any reference as to which page the text comes from the Visual Chronicle Book. But I’m satisfied with whatever it provided. For those who are late in ordering this and wanted the English translations, here’s the full English booklet scanned (Download). 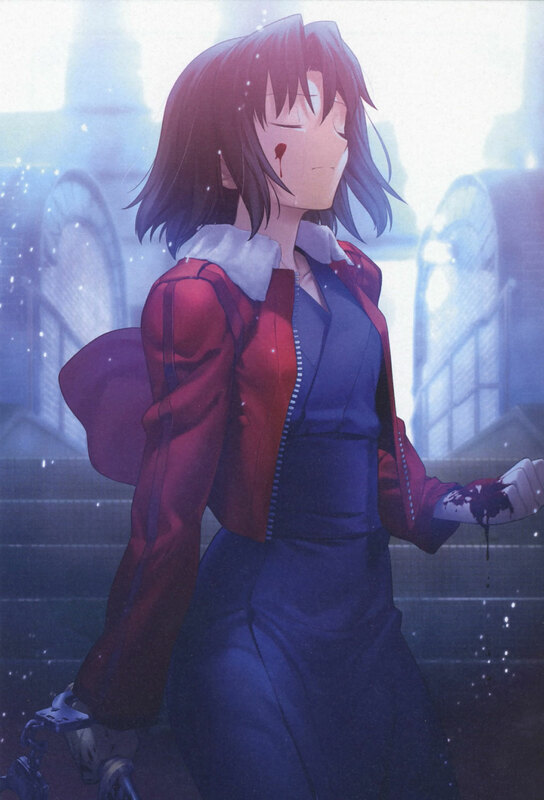 To close this post, here an illustration for Kara No Kyoukai. Yeah unfortunately it is true that it is not truly 1080 (I even question if it’s actually got 720 resolution or not) but a bit of scale up. It is better than DVD though because the DVD doesn’t have enough bit rate on some scenes. As one of those who wasn’t able to catch up with Aniplex release and imported this set, much obliged for English booklet scans. Thanks a lot.